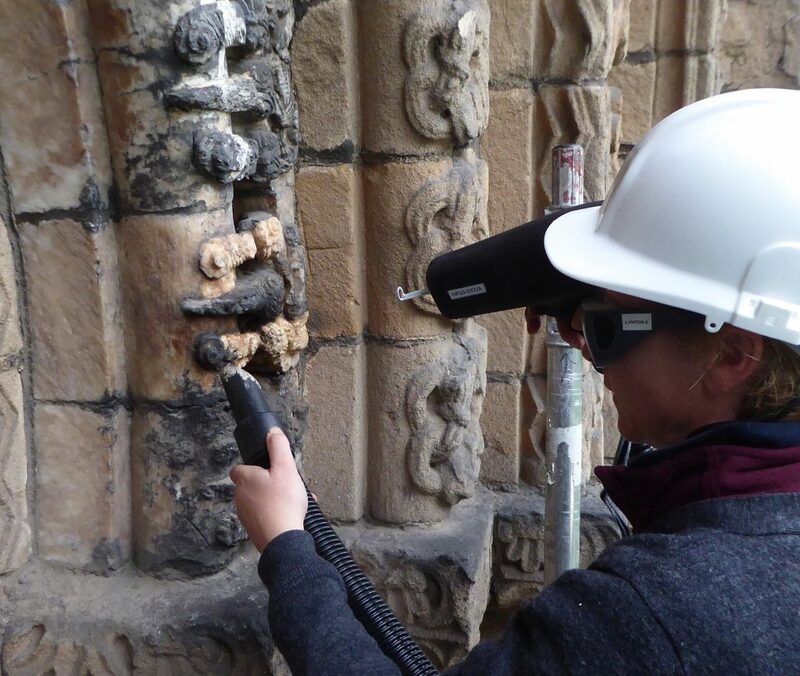 Hirst Conservation undertakes the analysis, consolidation, repair and cleaning of all types of stone, terracotta and architectural ceramics ranging from intricate stone carving and sculpture to architectural masonry in materials such as marble, alabaster and limestone. We also offer a variety of specialist cleaning processes for the removal of dirt, pollution, graffiti, surface fire damage or inappropriate modern paint systems from historic fabric. Expertise in multiple aspects of building conservation and technical analysis enables us to provide a complete and professional service for the cleaning and conservation of historic buildings. Remedial conservation treatments to mosaics and tiles including: structural consolidation of substrate; consolidation and/or replacement of grout and bedding mortar; replacement of missing tesserae; cleaning. London, Hampton Court Palace: Specialist building repair to include brickwork conservation and replacement, stone conservation, grouting and consultancy. Queens’ College, Cambridge: Conservation of the chimneypiece by G.F. Bodley. The hand painted tiles were made to the designs of Burne-Jones, Morris, Madox Brown and Rossetti.